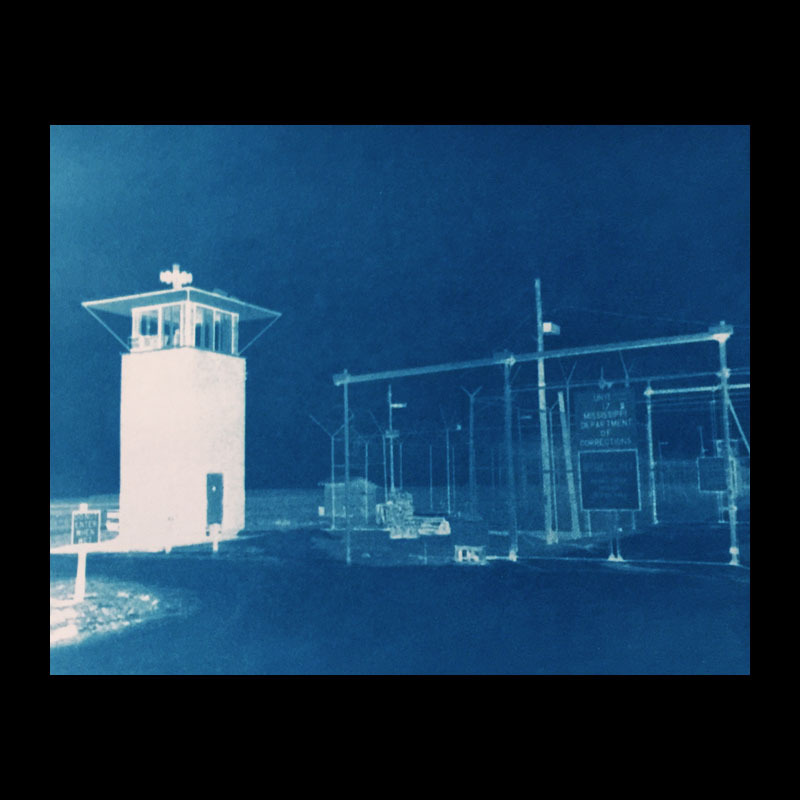 Prussian Blue, the synthetic pigment that gives cyanotypes their distinctive hue, is a chemical by-product of hydrogen cyanide or ‘prussic acid’ — a residue of which was found on the walls of the Nazi gas chambers at Majdanek. The same poison gas was used for many years on Death Row in the United States. In 1987, a BBC documentary titled Fourteen Days in May recorded the final two weeks in the life of Edward Earl Johnson, a young African American man who, at age 18, was wrongly convicted of murder after being forced to sign a confession by two white police officers. Johnson’s lawyer, Clive Stafford Smith, later founded the human rights organisation Reprieve with the film’s director, Paul Hamann. Reprieve has been instrumental in blocking the supply of drugs for the lethal injection, and several states have threatened to resume the use of gas as a method of execution in response. 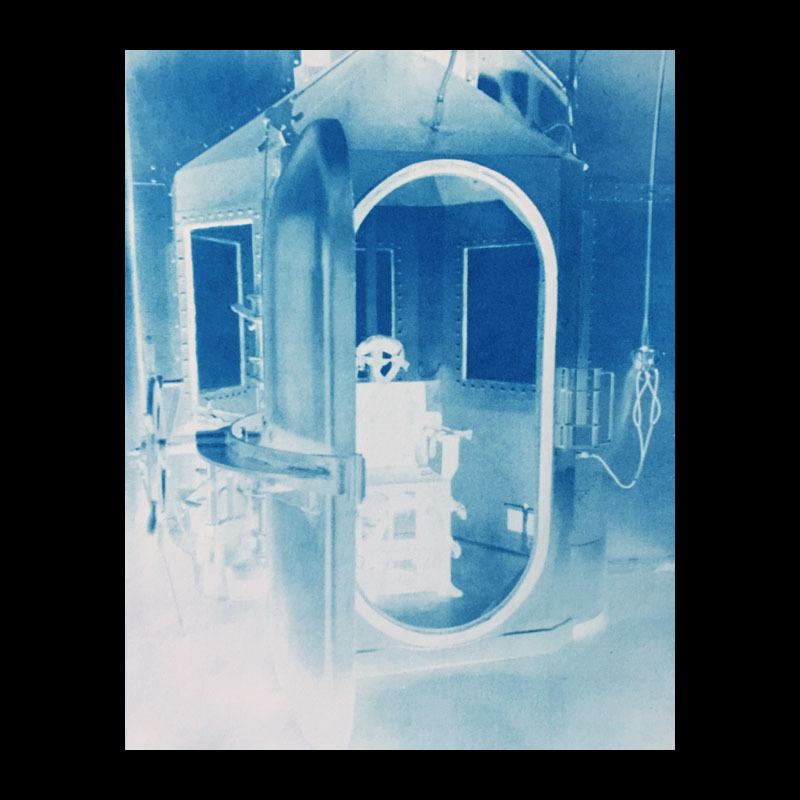 Midnight Blue is a series of cyanotypes, or ‘sun prints’, exposed from negatives that Hamann took 30 years ago at the Mississippi State Penitentiary where Johnson was incarcerated and executed. 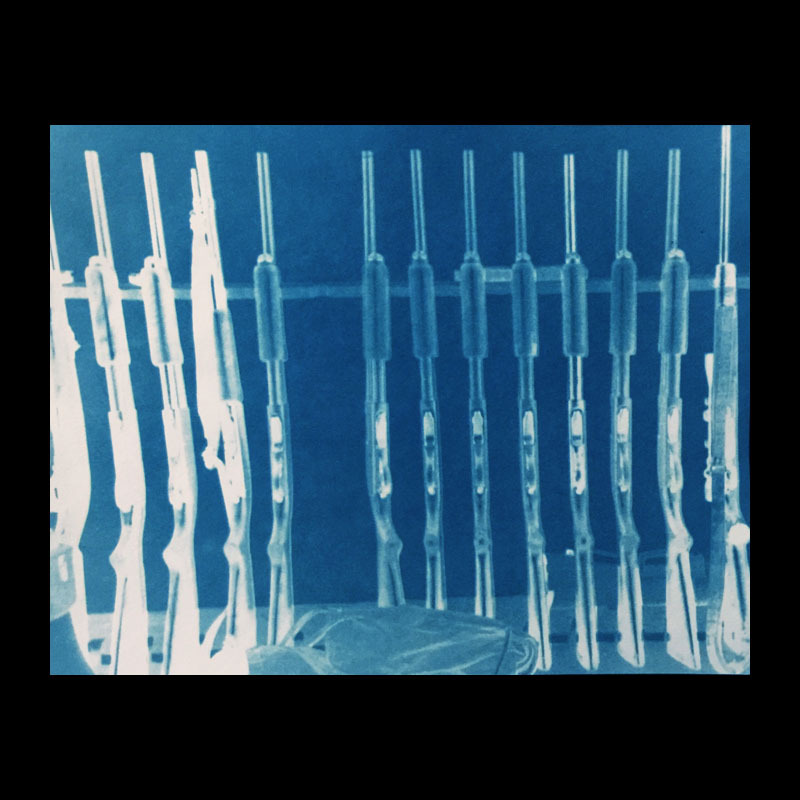 As metaphorical blueprints of a system of racial oppression, these photochemical traces are a reminder of the fact that only two countries have ever used cyanide as a systematic way of killing their own people: Nazi Germany and the United States. 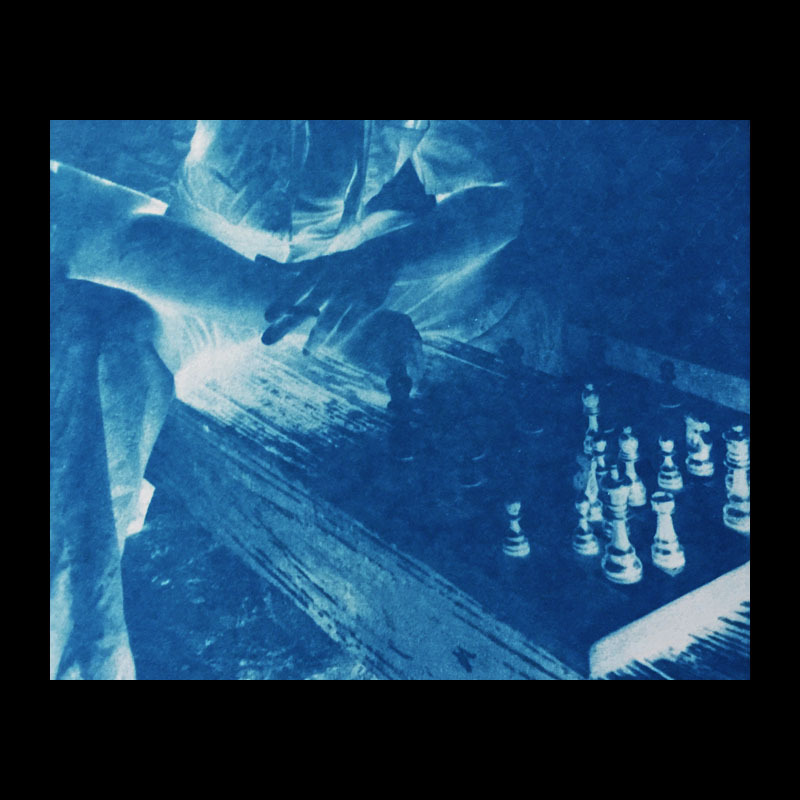 The work takes its title from the art supply company Crayola, which changed the name of its Prussian Blue crayon to Midnight Blue after teachers complained that German military history was an inappropriate reference for American schoolchildren. A minute past midnight is the traditional time set for executions in the U.S. Midnight Blue, 2018. 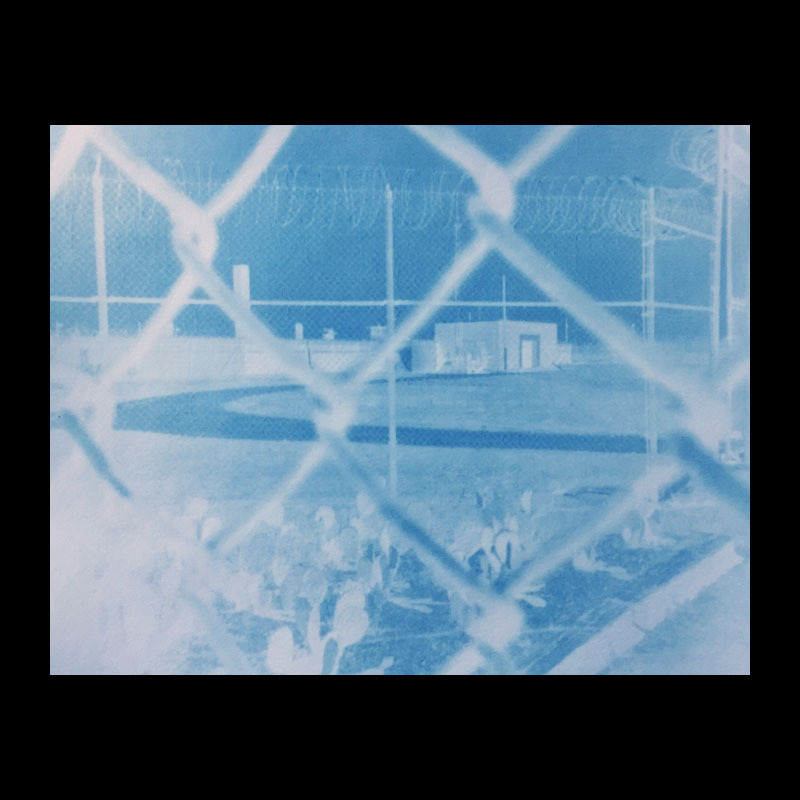 Cyanotypes printed from negatives taken at the Mississippi State Penitentiary in 1987.